Brighton Housing Trust has launched an innovative project to house the homeless in the city. The project involves using converted shipping containers as self-contained ‘apartments’. 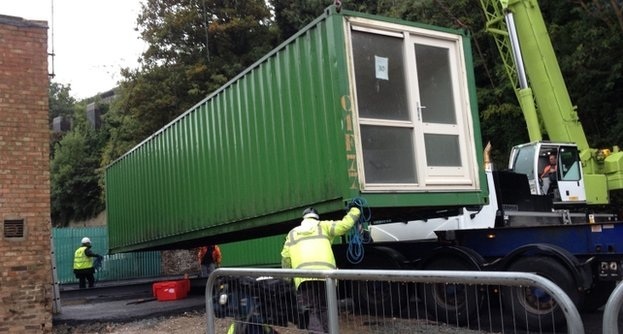 This week, the project’s wheels began to move with the first six shipping containers being installed in Brighton. The shipping container units were converted in Holland for a similar social housing project in Amsterdam. Unfortunately the project in Holland failed due to lack of funding. The shipping container units will be stacked on top of each other in 3 and 5 storey formations; a total of 36 will provide temporary accommodation to the homeless. Shipping containers are an excellent solution to low-cost housing. Shipping containers are engineered to be stacked on top of each other when in transit on shipping vessels, so it is possible to create multi-storey shipping container blocks of studios/flats. There is no building required when using shipping containers as housing as the structure already exists, just internal work is required to convert the units. The shipping container units can be placed on temporary sites and moved at a later date (shipping containers are designed to be moved around). Shipping containers have been also used to create quirky and trendy housing (as below). Eco-friendly and angular housing is being more popular and the use of a shipping container fits this perfectly. 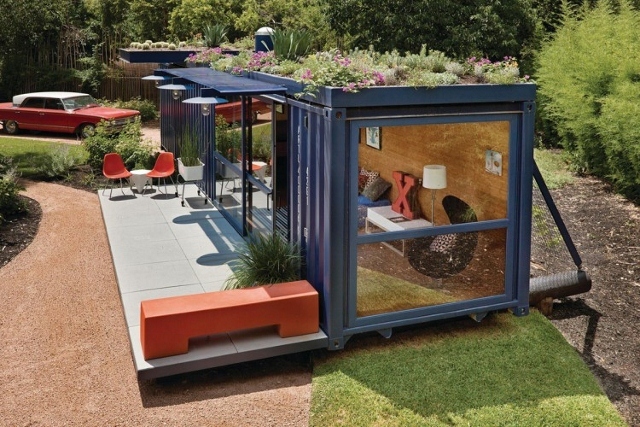 Using shipping containers as housing also fits the popular concept of ‘up-cycling’ or ‘make do and mend’. Mercator Cargo can arrange for your shipping container (whether for a housing project, or full of goods as an import or export) to go anywhere in the world. We can also assit in sourcing used containers. Contact us for more information – Tel. 02392 756 575. Email: sales@mercatorcargo.co.uk.